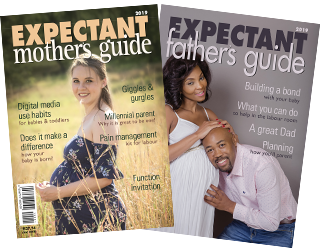 Expectant Mothers Guide | To co-sleep or not to co-sleep? 06 Nov To co-sleep or not to co-sleep? I do multiple home visits every week to see how new families are coping with breastfeeding and general adjustment after birth. I seldom meet a mother who does not at some point sleep next to her baby in the bed. The statistics tell us that up to 60% of mothers who planned not to share a sleeping space with their baby do so at some point. Parents feel that it is the natural place for their baby to fall asleep especially after a feed. In actual fact the amount of time spent awake for mom and baby is often less when this is the case. We are left with a dilemma: ‘everyone’ (60%) is doing it but we aren’t routinely given guidelines on how to do it safely. Some studies show an increased risk of SIDS when co-sleeping is practiced, but are there other risk factors involved here or are other protective factors missing? Moms tell me that they get the most sleep when they can breastfeed their baby in their bed next to them at night. This kind of co-sleeping is referred to as “breastsleeping”. There is a growing number of researchers around the world who are pointing out that sharing a bed with your baby within safe parameters can be safe and is biologically the space your baby feels most safe and calm in. Some say that their adaptive abilities are not yet mature enough to encourage sleep separation. UNICEF states research in their SIDS info-graphic that ‘sleeping in close proximity to your baby helps to settle babies, supports breastfeeding and by virtue of these two factors is protective against SIDS’. And yet mothers are still made to feel “bad” for doing it. When is co-sleeping a no-no? We know for sure that parents (not only mothers) who smoke, use alcohol or medication (Illicit drugs or prescription medication) should not co-sleep with their infants. This includes pain medication after a caesarean, painkillers and particularly medication that may make you drowsy. Babies who are born to parents who smoked during pregnancy are also at higher risk. Sixty to seventy percent of SIDS deaths can be linked to smoking in some way. Additionally, you are encouraged not to sleep with you baby if he is premature – born before 37 weeks or weighed less than 2.5kg at birth. You are also discouraged from practicing co-sleeping if you are extremely tired. Which mother with a newborn is not extremely tired! We’ll come back to this factor later. Some mothers try to avoid sleeping in the bed with their baby but fall asleep on a couch, armchair or sofa and the risk of SIDS in this situation is incrementally higher and so should be avoided at all costs. Siblings are discouraged from co-sleeping with infants. Babies are also at greater risk when they sleep on their tummies and at lowest risk when they sleep on their backs. Side sleeping remains less safe than sleeping on the back. Communities or cultures that routinely practice co-sleeping generally have lower rates of SIDS – when it is a parent bed-sharing (not another family member or sibling). The baby who is breastfed as opposed to the baby who is formula fed has a much lower risk of SIDS. Breastfeeding mothers who practice co-sleeping generally have better milk supply and follow their baby’s sleep wake rhythm more closely meaning that baby is fed as soon as he becomes restless at night (as opposed to eventually crying in the next room before mom wakes). This faster response to a stirring baby is protective. Research shows that baby and mom also settle faster after the feed and so mom tends to get more sleep. The mom and baby hear, smell, feel and see each other during this sleeping arrangement, which is shown to be protective for baby. Babies who co-sleep are checked or observed more often by mom. So if you are going to co-sleep what factors may make it safer? Breastfeed your baby. The baby who is exclusively breastfed has a significantly lower risk of SIDS. Know and avoid other SIDS risk factors like using alcohol or medication or being a smoker and practicing co-sleeping. If Dad had a few beers at a braai then it’s safer for him to sleep in another bed for that night or to place baby safely in the cot. Co-sleep in a bed and not on a chair, couch or sofa. Use a baby respiratory clip. There are no large well-designed trials that look at the use of these with risk of SIDS but there is anecdotal evidence that may show support for using a respiration clip (attached to nappy). Unfortunately a respiration pad will pick up either parents respiration even if the baby has stopped breathing and this remains a risk with the nappy respiratory monitor too but may be more sensitive to the baby’s breathing. Check with the manufacturer on sensitivity and what the impact of others in the same bed has on the sensitivity of the monitor. No mechanical equipment can be relied upon to keep baby safe especially when other safety factors are not met, and parents are not vigilant. Avoid sharing bed linen and blankets. Parents and baby should have separate linen so that there is less chance of a large duvet or blanket covering the baby’s face. This is especially risky if baby is in the middle of two adults who are using the same duvet. Use a co-sleeper cot or nester. This is either a baby bed attached to your bed – so open on the side of your bed or a nester, which is placed in the middle of the bed at the head but has 3 or 4 boundaries so making it less likely to roll onto your baby. In this case baby should still have his own linen and the nester shouldn’t be placed under the parents duvet but rather at the head of the bed away from linen and pillows. If you decide you do not want to co-sleep, then do night feedings while sitting up to decrease the chance of falling asleep accidentally. Plan to co-sleep or plan not to co-sleep. When you co-sleep without intending to then you are more likely to co-sleep with other risk factors in place. Both parents should agree and take responsibility for co-sleeping. This means both parents will be aware of baby in bed and both parents will check on baby. Both parents are also then responsible for not using any meds or alcohol when practicing co-sleeping. Practice tummy time during awake periods. All babies should be given tummy time during awake periods to strengthen their trunk and neck muscles and facilitate development. During the first 6 weeks lying awake on your chest is sufficient and after that you can give your baby a few minutes each day of tummy time on a firm but comfortable surface while they are awake and while an adult is observing them. What if you are particularly tired? I know every new mom is tired but if you are beyond the “normal” tired try and catch up on sleep while your baby is sleeping in a separate cot and avoid co-sleeping until you are feeling more rested. Many mothers say they were able to get the best and most restful sleep when they shared a bed with their baby so if you practice co-sleeping you may be able to avoid getting to the “abnormal” tired stages, but if so catch up on zzzz in a different sleep space to your baby.